Nebraska Recruiting: Why Is It Hard for D-Linemen to Contribute Early? I talk to fans every recruiting cycle about defensive line recruiting. So many people want to know if the Huskers can find guys in the trenches that can make an impact immediately up front. 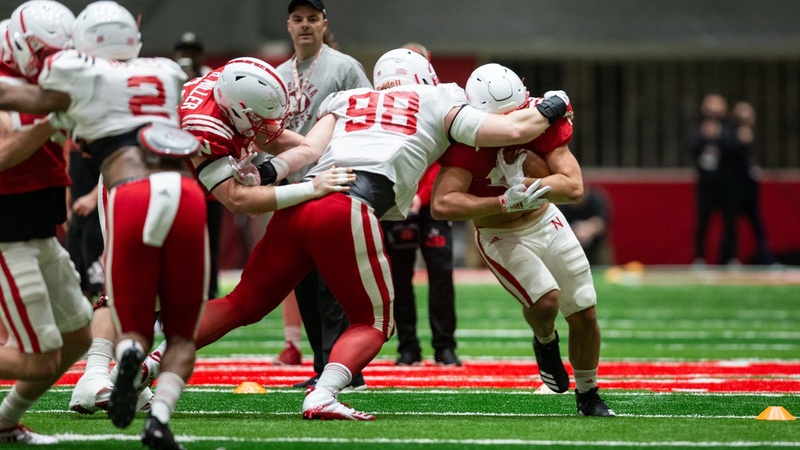 In 2018, Nebraska brought in Tate Wildeman and Casey Rogers to play defensive end. Neither contributed during their freshman seasons due to injuries, which is no fault of their own. In the 2019 class, Ty Robinson, Mosai Newsom, Brant Banks and Ethan Piper will take their shots at being able to crack the rotation as freshmen. It feels like a tall order to expect freshmen to come in and play right away on the defensive line. So, what’s the biggest issue that defensive line coach Tony Tuioti sees for young players at the position? Being able to train your body so that you can be bigger and stronger is one thing. That comes with time in the weight room with head strength and conditioning coach Zach Duval and his staff. Yet, even if a player comes in with all the physical tools in the world, the mental aspect can be a hurdle too. For Tuioti, he wants to know how quickly a player can learn the defense. If physical strength and the mental challenge of playing the game at a faster speed wasn’t enough, new players also need to get adjusted to college life. In high school, players are not used to waking up at six in the morning for training, meals, class, football meetings and academic meetings. It’s an entirely different lifestyle that they aren’t used to. Overall, it’s a lot to throw at freshmen during that transitional period but they get used to it. It’s just not wise to expect everyone to get used to it in time to be All-Big Ten during their freshman season. >> Ray Curry, a 3-star offensive tackle from Tennessee, included Nebraska in his top 12 on Tuesday. >> Huskers quarterback commit Logan Smothers is still doing his part to recruit more talent to Lincoln. He sent this tweet to 4-star running back Deondre Jackson. >> Wyatt Wegener, the younger brother of incoming junior college lineman Josh Wegener, is coming for the spring game. Wyatt is a wide receiver. >> The Huskers made the cut to eight for Chris Mayo, a 4-star offensive lineman from New Jersey. 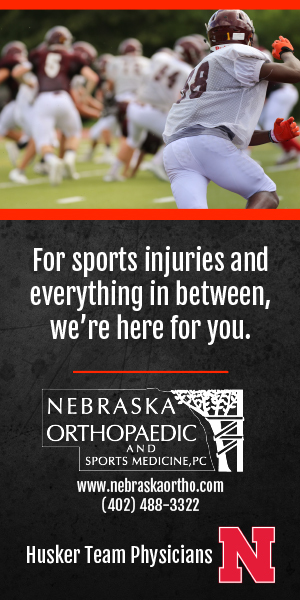 >> Miles Jones is ready to live up to expectations in Year 2 at Nebraska.